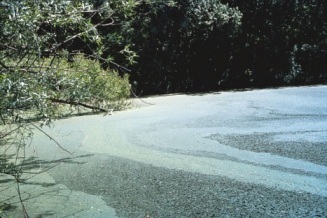 The two most common types of floating weeds are Duckweed and Watermeal. Both of these types of plants can be effectively controlled with the use of Fluridone. If the floating weeds you are trying to get rid of have roots attached to the bottom (such as water lilies or watershield), then they are actually emergent weeds. Water lettuce is an invasive plant commonly found in the southeast region of the United States. It grows in expansive mats that block sunlight to submerged aquatic plants, leading to lowered levels of bio-diversity.